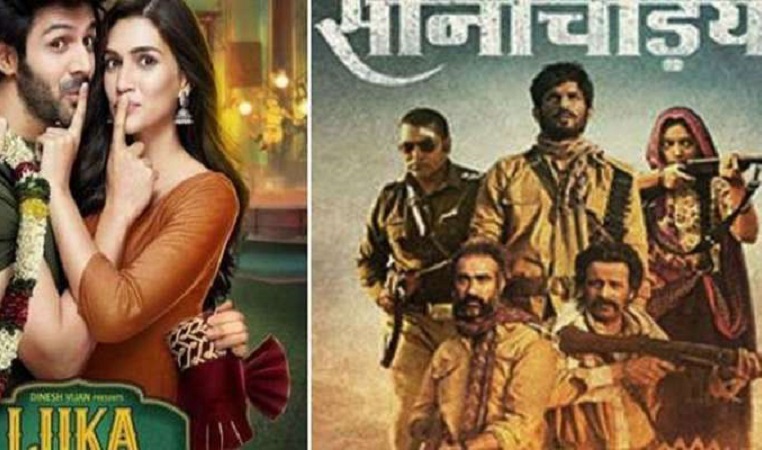 This Friday saw the release of two Bollywood movies, namely, 'Sonchiriya' starring Sushant Singh Rajput and Kriti Sanon starrer 'Luka Chuppi'. The movies which made enough buzz about their projects before the release saw a clash at the box office. Kriti Sanon's Luka Chuppi surpassed Sushant Singh Rajput's Sonchiriya on day 1 by collecting 8.01 cr at the box office. The later collected 1 Cr at the ticket counters. The actress has been making a mark on the audience with her impeccable choices of characters. Meanwhile, Sushant's film is a dacoit drama, directed by Abhishek Chaubey. Set in the 1970s, 'Sonchiriya' also features Bhumi Pednekar, Manoj Bajpayee, Ranvir Shorey and Ashutosh Rana in key roles.